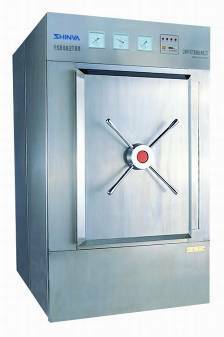 Security, easy operatin, reliablity sealed door with radiate bolt lock system. The sealed door is radiation construct locked one, the chain machinery security system could prevent operator from the sealed door when working. There are two specifications of sealed door, the single-layered and double-layered, the latter could separate the polluted from cleaned area. Water-cycle model vacuum pump prevent air from sterile room, keep the goods thoroughly sterile and dry. Complete each working phase through series of simple manual operations. 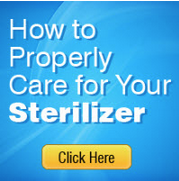 World-branded fittings keep the sterilizer advanced and long term smoothly operating. Perfect appearance and operation condition.